We strive to make it as simple and pleasant as possible for you to become an owner and thus a member of our family! Any Class A Motorcoach as defined by the Recreational Vehicle Industry Association of America (RVIA) or any factory-customized bus conversion, either of which are 34 feet or longer, and twelve years or newer, is acceptable. You will have a fee simple deed and can resell your lot. You may rent your lot to anyone who meets the standards as stated in the HOA’s covenants. You can leave your motorcoach when you are not here but your motorcoach must leave your lot at least one time per year to show its road worthiness. You will have a golf membership which will entitle you and your guest unlimited access to the golf course and all clubhouse facilities for as long as you own your lot. Lawn maintenance on all lots, common areas, and the golf course is included in your annual HOA fee, however, any landscaping on the lot is the owner's responsibility. We are a pet friendly resort. Owners are responsible for their pets. 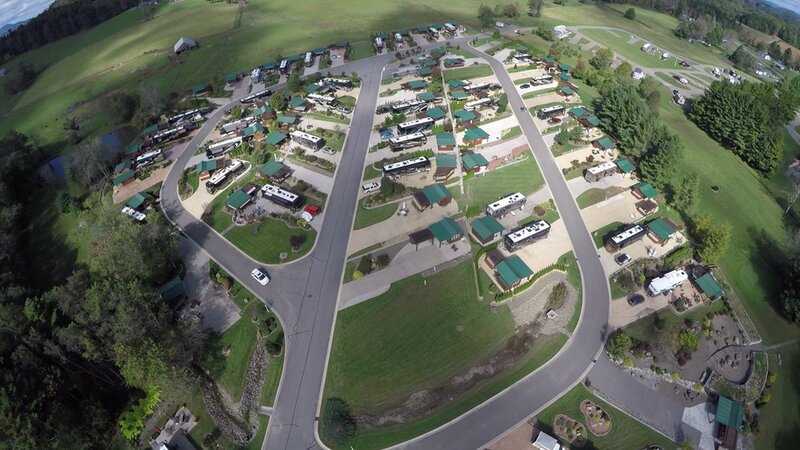 Three very good reasons to be an owner at Deer Creek Motorcoach Resort. LOCATION! We are just a two mile drive from the entrance to the Blue Ridge Parkway. This means great scenery, great spring and summer weather and the opportunity to explore many of the best small towns in Virginia and North Carolina. We are just a few miles from many highways including interstates I-77, I-81 and I-64. We are within an hours drive to Greensboro and Winston Salem, North Carolina. We are located just short of two hours from Charlotte, North Carolina. This means we are not far from major airports, shopping areas, and medical facilities. We have the peace and relaxed atmosphere of the mountains and Galax, but still have the benefits of being near large metropolitan areas as well. We have very low cost of ownership. Our HOA fees are 950 dollars per year, paid annually, plus 150 dollars per year emergency fund fee. Local real-estate taxes are low as well. 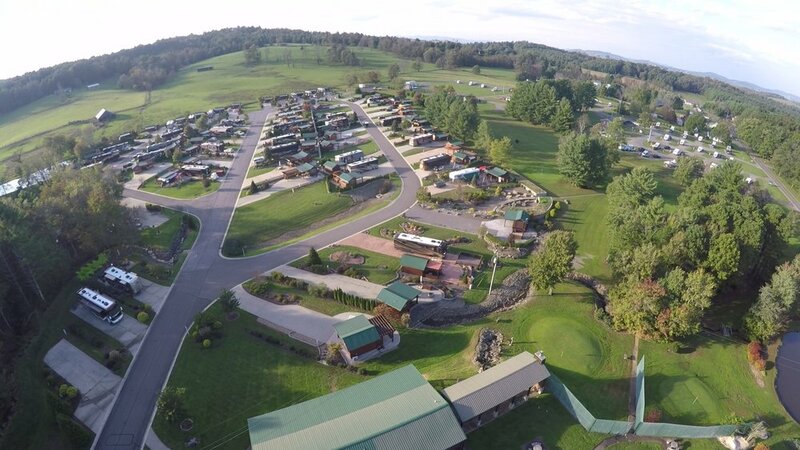 As a service to all of our guests, and on behalf of all the owners we provide park volunteers that will greet you at the gate upon your arrival and direct you to your beautiful site in DCMR. Our Ambassadors are owners of the park that volunteer their time to help make your stay a wonderful experience. 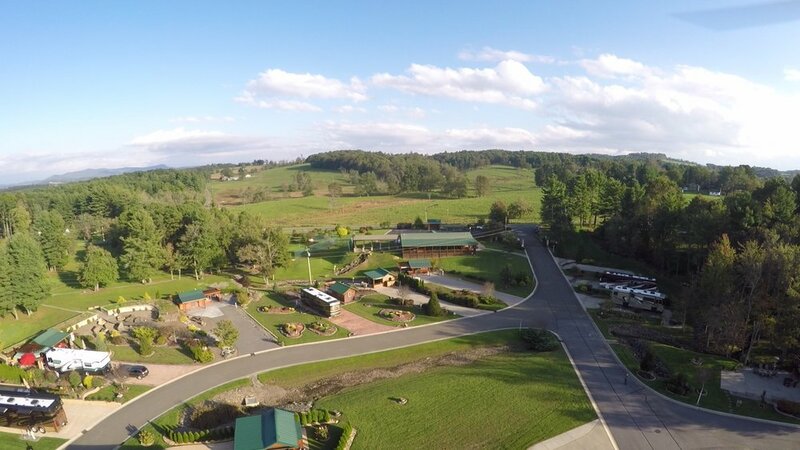 They can help answer questions about the park and inform you of all the fantastic outdoor activities and local entertainment available nearby just short driving distances from DCMR. As many of our owners have done before you, should you fall in love with our community and the beauty of the Blue Ridge Mountains and want to make this your mountain home, our Ambassadors can give you a list of available sites for sale. We encourage you to look around in a relaxed environment. Our goal and wish is when you leave DCMR that you share your experience with your friends in the RV community. Plan now to spend your summer in the beautiful Blue Ridge Mountains of Virginia, call 828-371-4848.